FREE again, just in time for the start of the Christmas season. Now you can see what Santa is doing with Santa’s Home. The app is a “LIVE” feed of Santa’s house – the bedroom, the kitchen, the living room, his office/workshop, and the outside grounds. Kids can keep track of what Santa is doing up at the North Pole. I checked in on Santa a few times – first he was in the kitchen washing his dishes, then he was on the computer checking his list, and a little after 11 PM he was in bed snoring. The app even displays the correct date and time to make it seem more realistic. The app also gives adults the option of can subscribing to Santa’s newsletter. Adults can also help kids send Santa one of their drawings that he will display in his workshop. Super cute!! Where is Santa Lite – Santa Tracker is FREE for the iPhone/iPad. The app keeps track of where Santa is and how long it will be before he arrives at your home. When using the “Where is Santa” page, it scans the world every 60 seconds to locate Santa and report on his activities. For instance, “Santa is in the North Pole and he is helping Mrs. Claus in the kitchen.” When using the “My Home” tab, it shows the location of your house and tells how many days, hours, minutes, and seconds it will be before Santa arrives. Beware – there are ads at the bottom of this app that are easy to click and will take your child to the app store. Teachers could use the app to make up math problems with the information given. Have kids convert days into weeks, days into hours, figure out the exact time he is scheduled to arrive, etc. Kids could write a story about what Santa is doing on a particular day, illustrate a timeline of what Santa has been doing for a week, etc. – lots of cute possibilities. Parents can use this app with kids to check on Santa daily – cute way to count down the days to Christmas! “He sees you when you’re sleeping. 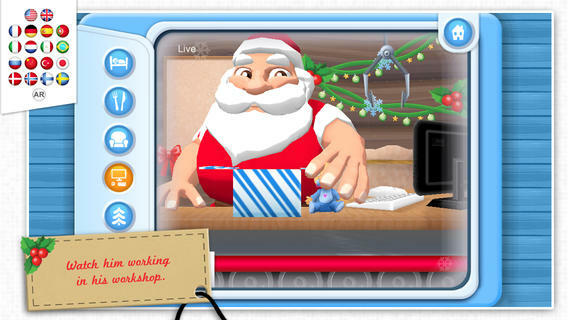 He knows when you’re awake.” Now you can see what Santa is doing with Santa’s Home, a FREE app. The app is a “LIVE” feed of Santa’s house – the bedroom, the kitchen, the living room, his office/workshop, and the outside grounds. I checked in on Santa a little after 11 PM and he was already in bed snoring. The app even displays the date and time to make it seem more realistic. The app also gives adults the option of can subscribing to Santa’s newsletter. Adults can also help kids send Santa one of their drawings that he will display in his workshop. CUTE!! Fun, FREE Christmas Apps for Kids! 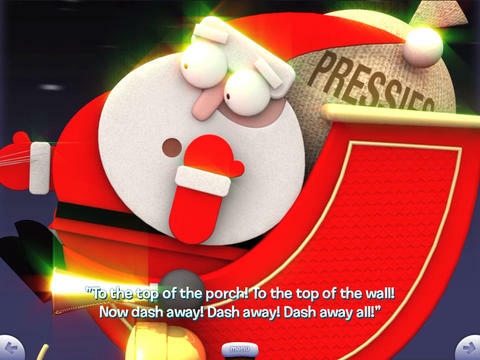 FREE – Friendly Christmas from the developers of Friendly Shapes. 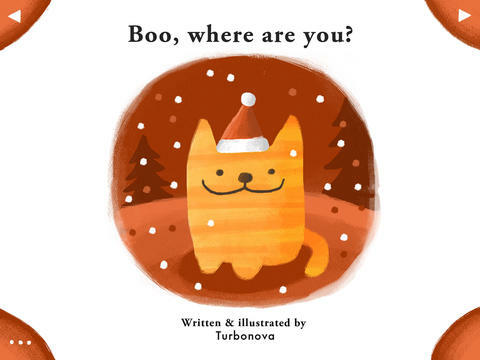 Preschoolers will enjoy meeting Oval, Heart, Triangle, Rectangle, & Square in this cute Christmas story. Kids use shapes to help build a snowman, build musical instruments, help elves in Santa’s workshop, and more. There are three modes: auto-play, read-it-to-myself and play. The app also has puzzles, coloring pages and games. So how can it be FREE? Well, this app has ads placed at the bottom of each page between the backward and the forward arrows. For $.99 you have the option of removing the ads.There are also options to purchase additional puzzles and coloring pages – $1.99 per pack. All in all, this is a nicely done app for little ones to learn shapes, colors, left/right, etc. Gingerbread Crazy Chef Cookie Maker – Kids can virtually bake and decorate their own gingerbread cookies. An in-app purchase of the full version is available. There are also ads along the bottom. TabTale Books has several other free holiday titles that you can download when you open this app if you are comfortable with their model of delivery – ads, upgrades, etc. 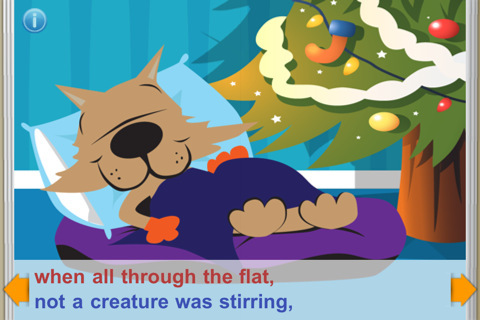 FREE for a limited time – The Night Before Christmas presented by 100 Robots. The Night Before Christmas was written by Cement Clark Moore in 1822 and it has become one of the most popular pieces of Christmas literature. Christmas would not be complete without a reading of this classic. This educational app is beautifully illustrated by Bill Ledger and the animations are enchanting. The quality of the graphics is amazing – kids will be delighted when Santa stuffs himself down the chimney and arrives inside all covered with soot! Check out this delightful rendition of a holiday classic! 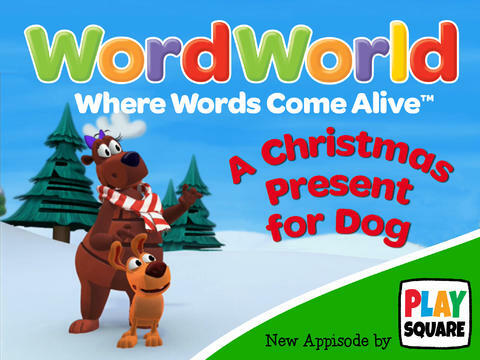 Also FREE for a limited time, A Christmas Present for Dog. Something is wrong with Dog’s Christmas present. Kids help save the day by completing activities in 13 interactive scenes. Another colorful and engaging app from Playsquare! 10 FREE Christmas Apps for Kids! Ho, ho, ho – “Did That Crazy Santa Claus” and 7 more fun tunes!! 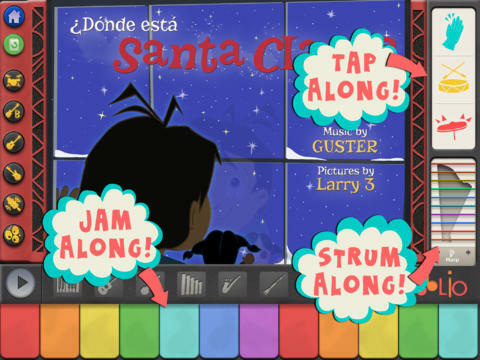 FREE for a limited time – Santa’s Merry Band, from the creators of Mibblio. Just like Mibblio, this app is an interactive musical/storybook app for kids. Children read the illustrated story-songs called “mibblets” as they listen to the catchy songs. They can also jam along on a wide variety of instruments. The app has a keyboard along the bottom of the screen with a choice of 8 different instruments. They can also use a tambourine or cowbell to tap along to the beat of the song. 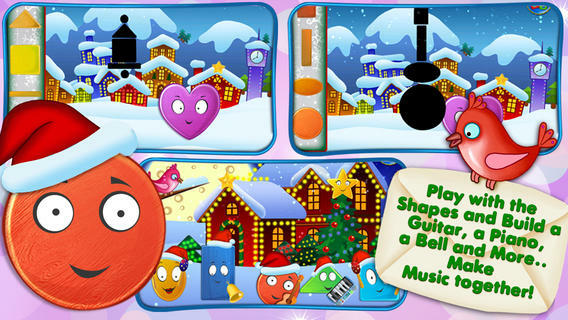 Kids will enjoy the 8 different Christmas “mibblets” included in this app. Fun for the holidays!! 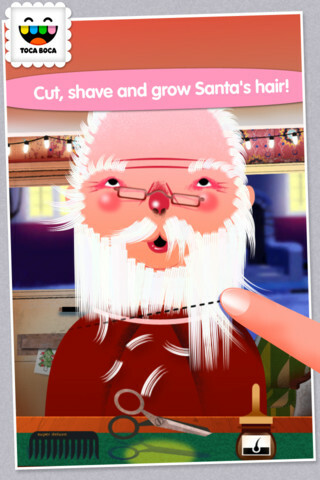 Now you can see what Santa is doing with Santa’s Home, a $.99 app. The app is a “LIVE” feed of Santa’s house – the bedroom, the kitchen, the living room, his office/workshop, and the outside grounds. Kids can keep track of what Santa is doing up at the North Pole. I checked in on Santa a few times – first he was in the kitchen washing his dishes, then he was on the computer checking his list, and a little after 11 PM he was in bed snoring. The app even displays the correct date and time to make it seem more realistic. The app also gives adults the option of can subscribing to Santa’s newsletter. Adults can also help kids send Santa one of their drawings that he will display in his workshop. Super cute! !